Successfully Added DOOGEE KISSME DG580 Phone - 5.5 Inch 960X540 IPS Screen, MTK6582 Quad Core 1.3GHz CPU, Android 4.4 OS (White) to your Shopping Cart. Love me and kiss me is the new statement being spread worldwide as DOOGEE have now brought out their KISSME DG580 model. HotKnot is a near field communication technology that does not require the need of NFC chips or antennas to work. Instead the technology transmits data through projected capacitive touch panels making this a totally new way to transfer data. By touching screen of two HotKnot compatible devices, the data transfer is completed. 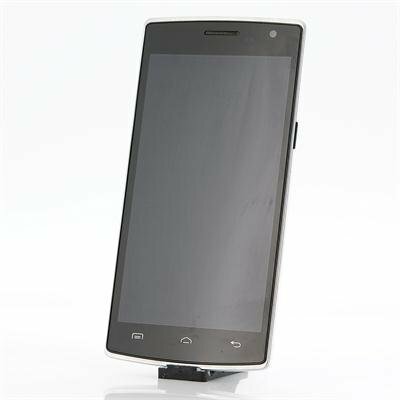 KISSME DG580 is the supreme phone for data transmission of the DOOGEE franchise. KISSME DG580 features a 5.5 inch screen configuration as it combined OGS with IPS screen technology; this helps to identify the breakthrough limits of the human eye, showing your contents in an unprecedented clear, sharp, fresh, smooth display. 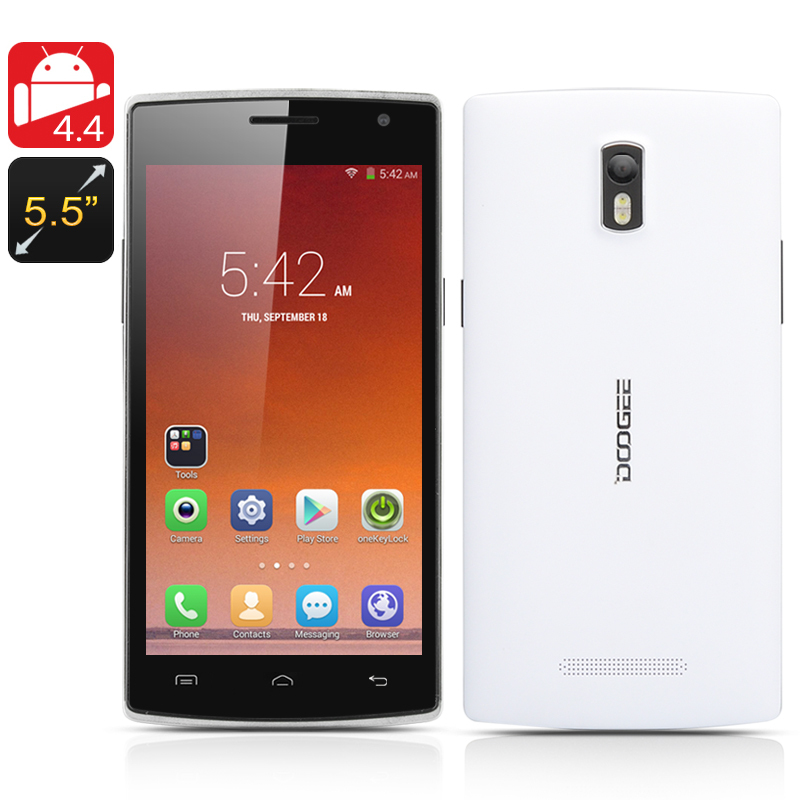 With a 5.5mm thin body the DG580 becomes one of the thinnest models of DOOGEE mobile phones. Perfect user experience as the slim body fits comfortably in the hand; as well as the unique screen making it not only for visual beauty, but also for personalized use. Wake Gesture is another configuration that has been implemented into this quad core phone. This feature not only makes this phone feel and respond practical but it is also convenience for one-handed operation. Equipped with a 5 megapixel rear camera and a 5 megapixel front-facing camera that boasts an 86.4 degree ultra wide angle lens, the smartphone lets you take self-portraits at the same distance with a broader perspective; therefore making it easy to take wider angled photos with more friends. Using the new high-performance low-power Cortex-A7 quad-core processor, this DOOGEE phone uses the perfect system architecture as the energy efficiency is more than five times than an A8 core with a performance increase of 50%. Plus with the advanced Android 4.4 KitKat operating system, you can enjoy fast and smooth gaming, web browsing and an excellent operating experience.